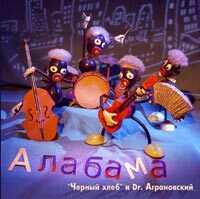 Video: Dr. Agranovsky & friends in the Central House of Artists, Moscow 2005. Unless otherwise stated, the listed gigs are by the CHERNYI KHLEB (Black Bread) band. Video: Dr. Agranovsky & Chernyi Khleb with special guests, Pera Joe and Vladan Stanoshevich in the Central House of Artists, Moscow, April 2005; blues jam at the WOODSTOCK club in Moscow, October 2004. Live journal notes, February: Things at riot. Read it, there must be a couple of words in English, like "Lazy Lester". Thanks for calling on me. Lemme lead the way, just to show you around. 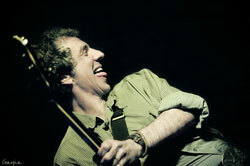 Now you are at the official site of Alexey Agranovsky. That's me. I play a guitar (not always the same one) and I sing the blues (not always the same one). 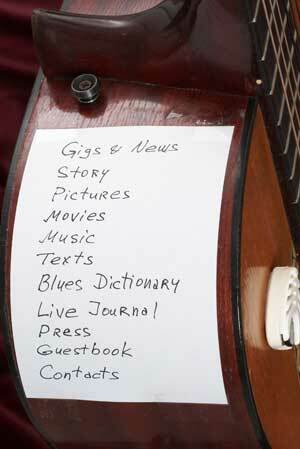 The site is largely dedicated to music, so it starts with GIGS & NEWS – all about our current musical affairs. STORY consists of several sections: "Roots" tell about my ancestry, "Curriculum vitae" is a brief autobiography and a list of research publications (by education and primary occupation I'm a biochemist), "The Black Bread" tells about bands and musicians. Next we have PICTURES (ill-assorted shots of faces and events), MOVIES (in mpeg4), and MUSIC (diskography and some audios). TEXTS contain, most surprisingly, texts of my own. These are diverse: reminiscences of the good old times, a short play (not too dramatic), and references to publications. I hope you are able to read Russian with a dictionary, because these will not be translated into English, at least soon and in full. The English–Russian BLUES DICTIONARY clarifies some subtleties of the blues language; this glossary can be found on several other RuNet sites, but only here it will be supplemented and refined. LIVE JOURNAL springs to life from time to time; here I enter various impressions, not only musical ones. PRESS features magazine articles and interviews, mostly on 'blackbread' topics. GUESTBOOK is for your entries; do write, I will be pleased anyway. CONTACTS, most surprisingly again, let you contact me and the band. Concept and structure, Alexey Agranovsky. Design and makeup, Alexei Denisov. Front page photo, Vladimir Korotun. Menu page photo, Dmitrii Kruzhkov. Guestbook, Irina Nikolaeva. Hosting, Georgy Georgievsky.